Tuscany’s largest stretch of seaside is in an area called the Maremma, a wide strip of fertile land that separates the sea from the mountains. The Maremma is a lesser known part of Tuscany, extending south towards Lazio and Rome, that has been called the “Wild West” of Italy. The Entruscans, who preceded the Romans, originally developed the area and there are numerous examples of their civilization which can be visited. The coast here is unspoiled, and the swimming in the Tyrrhenian Sea is refreshing and relatively uncrowded compared to other seaside areas. One of the more famous parts of this area is the Argentario, a peninsula that is connected to the mainland by a causeway at the ancient town of Orbetello. 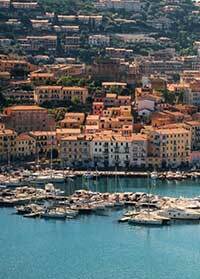 Its lively port towns of Porto Santo Stefano and Porto Ercole are well-known boating marinas and offer access to several offshore islands such as Giglio. Its steep cliffs and Mediterranean landscape afford much natural beauty. 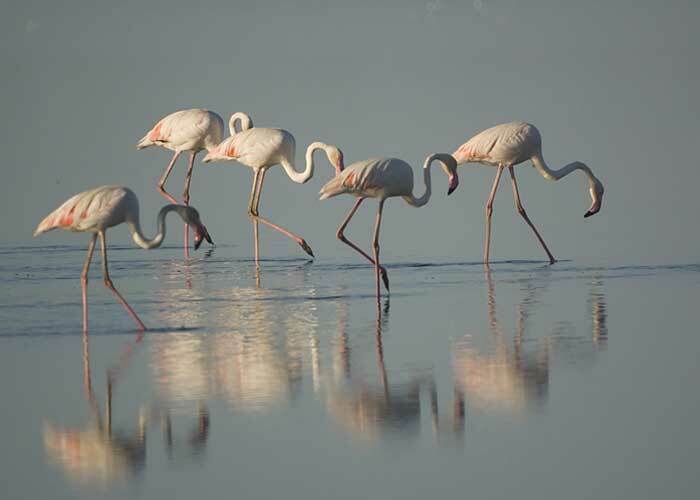 The World Wildlife Fund has established a protected area off the Argentario, the Tombola di Feniglia, known for its long sandy beach and protected lagoons for birds such as the pink flamingo. For those seeking nature walks, the nearby Parco Nazionale della Maremma has trails through the pinewoods and Mediterranean scrub. Not far away are historic towns of Pitigliano, Sovana, Sorano; the hot springs of Saturnia; Viterbo, the “city of the pope. Monte Argentario is a promontory stretching towards the Tyrrhenian Sea in correspondence of the two southernmost islands of the Tuscan Archipelago, Giglio and Giannutri. The promontory was an island in the past, but the sea currents and the Albegna river joined it with the mainland through two so-called tomboli (stretches of land), the Tombolo of Giannella and the Tombolo of the Feniglia. 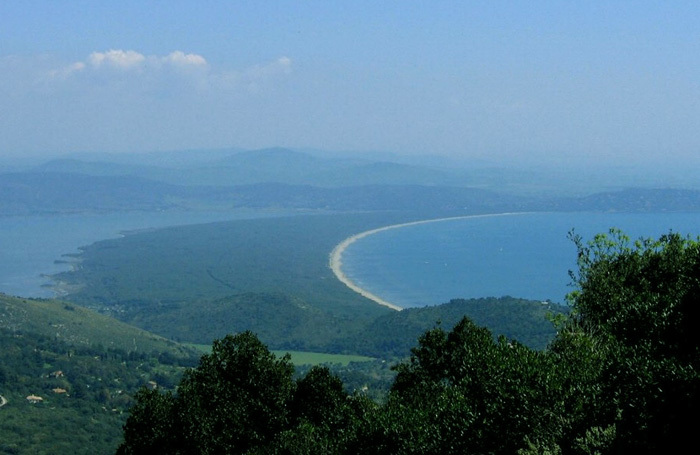 Monte Argentario borders the comune of Orbetello, which is located on the middle dam between the two lagoons. The highest peak of Monte Argentario is the Punta Telegrafo (635 m). The landscape and the coast are mainly rocky, with numerous harbors, usually with rock beaches. The municipal seat is in the northern settlement, Porto Santo Stefano. 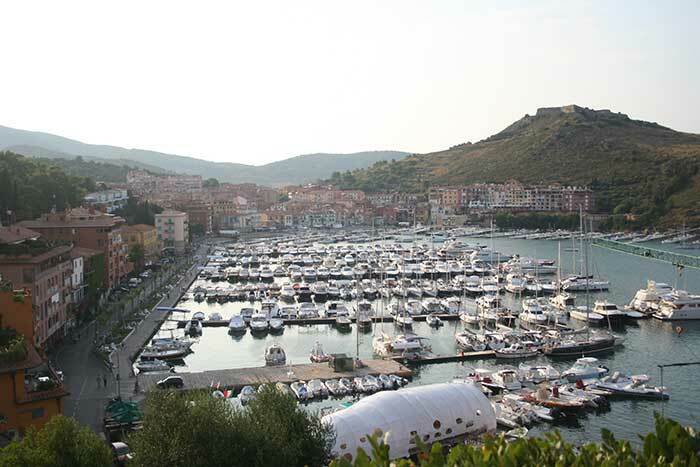 The other main settlement in the township is Porto Ercole. The panoramic road Strada panoramica starts in Porto Santo Stefano allowing splendid views of the coast and the Tuscan Archipelago. The promontory, probably already inhabited by the Etruscans, was a personal property of the Domitii Aenobarbi family, who obtained it in return for the money they lent to the Roman Republic in the Punic Wars. The current name stems probably from this origin, since Arganterii was the name of money lenders in ancient Rome. Later an imperial possession, it was ceded to the church by Constantine the Great in the 4th century AD. In the Middle Ages, due to the reduced traffic passing on the nearby Via Aurelia, the area was sparsely settled. 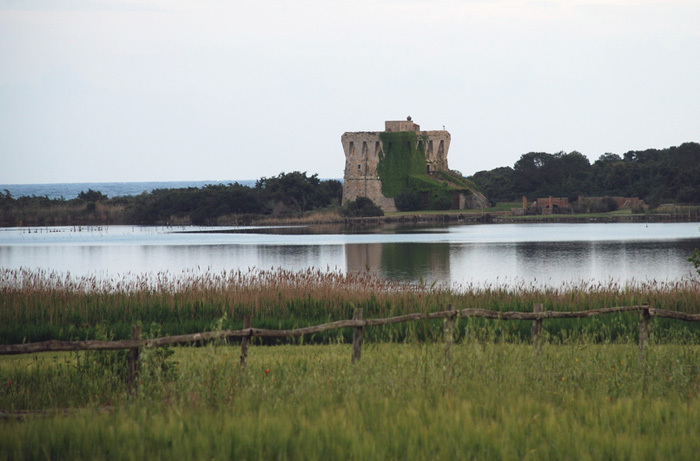 Following the history of Orbetello, the promontory was a possession of the Aldobrandeschi, Orsini, King Ladislaus of Naples and Siena, until Spain acquired it in the late 16th century. The Spaniards heavily fortified the two ports, as the main stronghold of the State of Presidi. After Napoleon's defeat, in 1815 the Argentario was handed over to the Grand Duchy of Tuscany, to which it remained until 1860, when it became part of the newly united Kingdom of Italy. The painter Michelangelo Merisi, known as Caravaggio died of a fever at Porto Ercole in 1610. During World War II, the settlements of Argentario were heavily bombed, with numerous losses. The port of Santo Stefano was destroyed, and was rebuilt only in the 1950s. The railway that connected Orbetello to the mainland was never rebuilt. Everyone knows (and loves) Positano, Portofino, and the Cinque Terre. But Italy’s home to many lesser-known port towns that are just as beautiful. 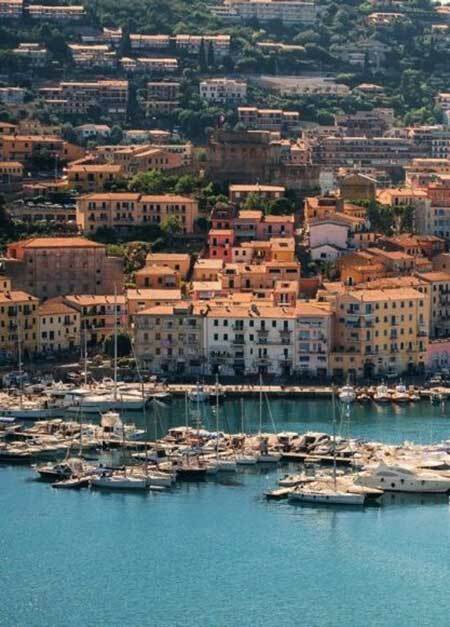 Porto Ercole is a gorgeous Tuscan port town, on the south-east the Argentario peninsula and features a must-see ancient fortress that was built under Spanish rule in the 17th century. Monte Argentario harbors the largest lagoon on the Tyrrhenian Sea as well as one of Italy's most important bird sanctuaries. About halfway between Rome and Florence, it makes a wonderful choice for birdwatchers. Take a guided tour of the WWF oases at Orbetello (open Sept. 1-April 30) and Burano (open Aug. 1-May 31) at 10 am and 2 pm on Thursdays and Sundays. Or you can go on your own: for Orbetello drive along the southern edge of the promontory (called Tombola di Feniglia); for Burano Lake take the northern shore road and then walk along the dunes. Or take the 4-hour walk around the coast from Feniglia to Burano. This article incorporates material from the Wikipedia article Monte Argentario published under the GNU Free Documentation License.